The Crossover Pencil Grip is one to try for those children who have a persistent thumb wrap. But what is the big deal about the thumb wrap and why should we worry at all? The discrete refined finger movements which are so essential for speed and quality of handwriting, are blocked when a child wraps their thumb over their index finger. There is no way the finger joints can move with that thumb holding on fiercely and tightly. And that is a problem. 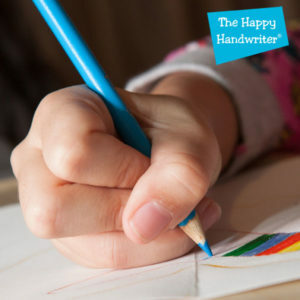 Children then start to initiate movement for handwriting from their wrists, rather than from their fingers. Wrists are bigger and can’t move with sufficient speed and agility to achieve a fast, legible and appropriately sized script. And as every good mother, teacher and therapist knows, no amount of telling a child to correct the position is going to make a difference. If you are lucky they may adjust it while you are watching, but the minute they are no longer focusing conscious attention on it, they will revert to the wrap which becomes more and more entrenched with each passing day. The wings on either side of the central body of the Crossover Pencil Grip prevent the thumb from sliding forward and it is the hope, that with time, the new pattern will become the new normal. Do be cautious with little hands to check that when the child is holding the grip it is not so big that it blocks off the finger movements. Sometimes the size of the grip in a little hand is just too big and you will need to try one of the other grips that can be used to remediate a thumb wrap. As I always say, if your child could hold with the “perfect pencil grip” they would. You haven’t failed as a teacher or parent, and they haven’t failed because of some muscle imbalance or other unknown issue that resulted in the development of a thumb wrap. But we do know that using a pencil grip can assist in re-positioning the fingers and the Crossover Pencil Grip is a popular option. 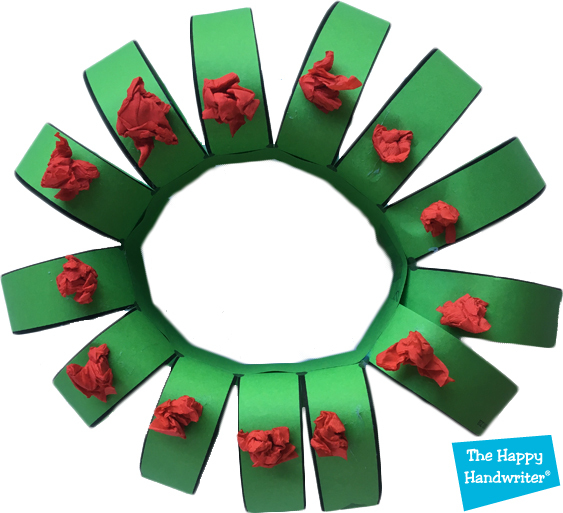 It may be wise to work on developing the muscles and movement patterns for handwriting at the same time as using the grip and the Fine Motor Fun kit is a hit across the age spectrum.